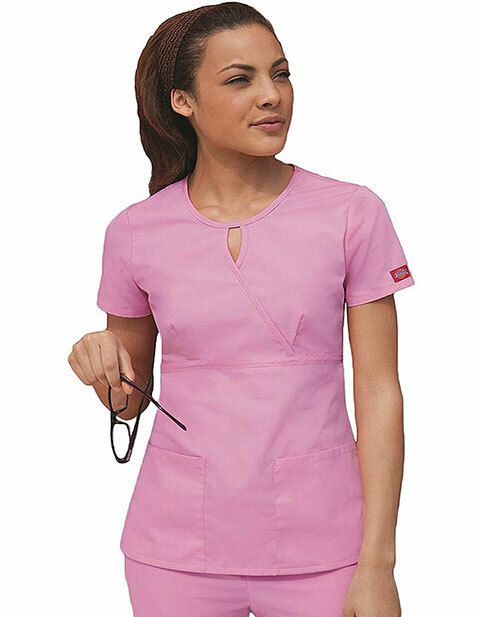 This nurse scrub top from Dickies Uniforms has a trendy keyhole neckline. It is created with original junior fit and mock wrap style. Also added are empire waist and bust darts that improves feminine shape. There are two roomy lower patch pockets where you can keep your tools and personal items. Short set-in sleeves and side vents are also provided for breathability and ease of movement. 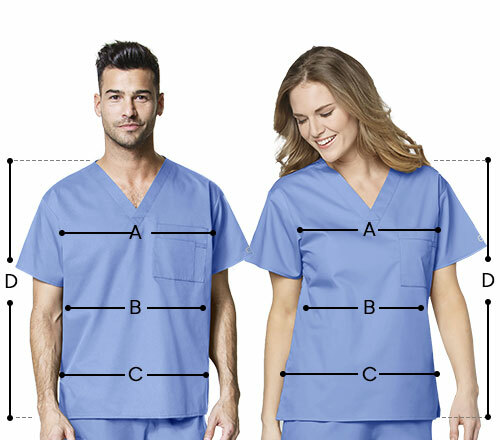 The center back length is 25.5 inches, and the fabric is composed of polyester and cotton poplin.